Many people reach adulthood having never seen a healthy marriage modeled. They grew up in a distressed, divorced or dysfunctional home. Yet, it’s not too late to gain the needed tools to build a healthy marriage. What if You Have No Role Models for Marriage? Many people reach adulthood having never seen a healthy marriage modeled. They grew up in a distressed, divorced or dysfunctional home. Yet, it’s not too late to gain the needed tools to build a healthy marriage. 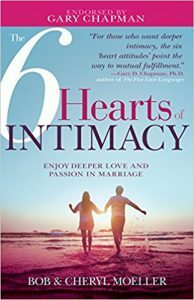 In good marriages you communicate freely, forgive quickly, and support each other intentionally. Start out by seeking an older couple that will formally or informally mentor you. Attend a marriage conference yearly to receive new skills, insights, and motivation. Study the positive marriages in Scripture such as Isaac and Rebekah and Joseph and Mary. If you need more help seek out pastoral or professional Christian Biblical counseling for your marriage. You cannot change your ancestors, but you can change your descendants.